Artyarns Beaded Shawl pattern in Beaded Silk Light. Available free with all purchases of one of more skeins of Beaded Silk Light. This pattern comes in a book of four designs and purchasers will receive the complete book. John has gone fishing and so I am looking after Slip. I took her for a walk and put wellington boots on as there are lots of stinging nettles in the field where we walk. I was wearing shorts and so my legs were bare inside the boots. Suddenly I felt a sharp pain. A bee was in my boot and it stung my calf. I now have fat calf! John has remembered that it is my birthday on Sunday and so no getting him to wear sack cloth and ashes! We are going out to dinner tomorrow night. 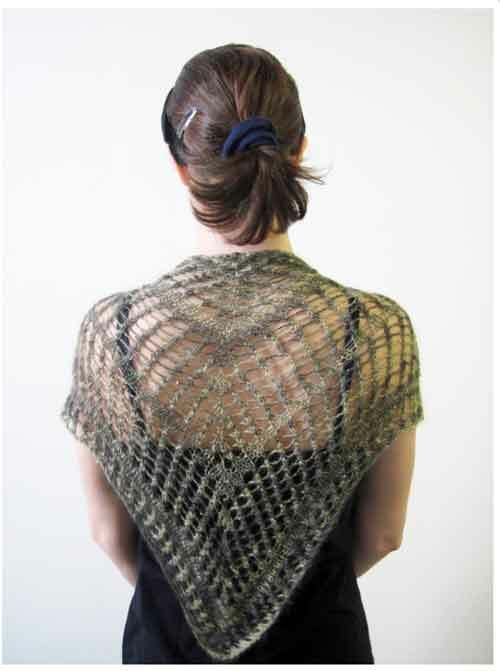 I see there are new shades of Rowan Fine Lace on the ordering site. No pictures and it says they will be available from 14th January. Kim Hargreaves new book is scheduled for 1st October and I have it on order. I have not seen a copy yet. Now I must go and wait for the postie – he is due any moment. Back tomorrow.